Can you believe it? I have finally finished a Hepburn/Hepburn- garment! 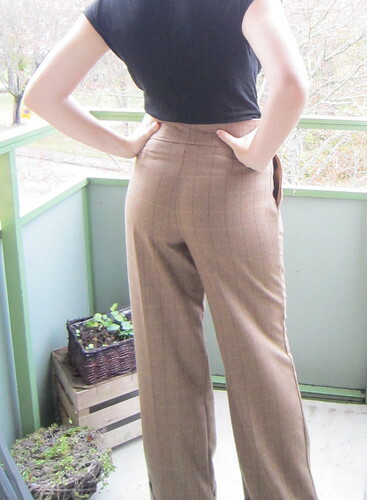 I finished the last couple of stitches on my Katharene Hepburn inspired pants today, and managed to take some half-decent pics. It´s so hard to take photos in autumn. There is way too much weather all the time! Anyways. 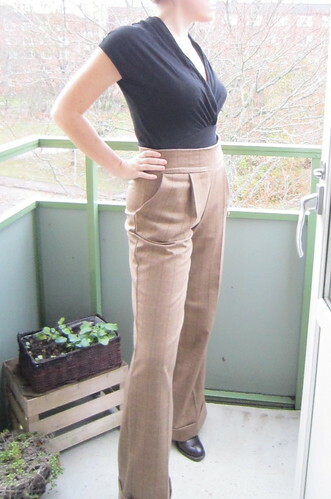 These trousers are made from a light wool fabric I recently bought. Originally, these pants were supposed to be blue, but I had accidentally bought too little fabric, and so I decided on this nice plaid one instead. 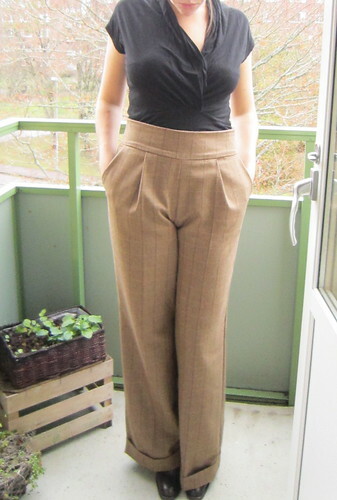 The pattern is from Burda Magazine . 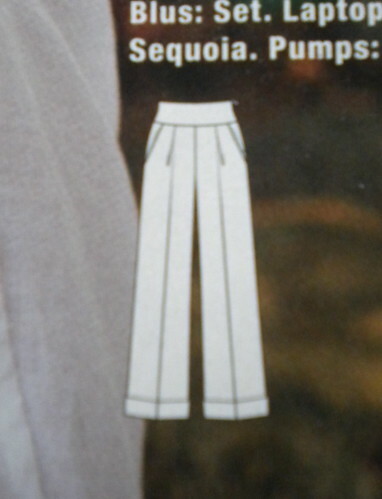 It´s pattern number 127, and is especially designed for ladies taller than 176 cm. And that includes me. Hurray! 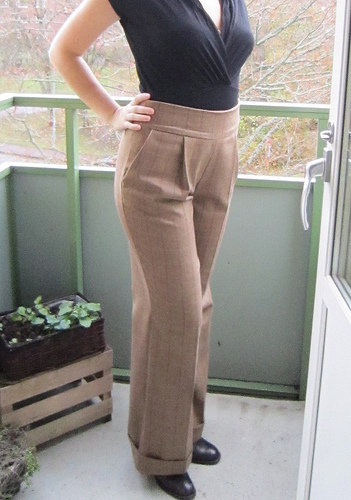 Finally a pattern for trousers that I don´t need to adjust much! The cutting and sewing of this one went rather smoothly, it´s got a zip in the side, which I prefer, pockets, and a rather high waistline. I like the way they turned out. The only adjustment I did was taking in the side seams with 2 cm in each side from the waist to the hips. Otherwise, they are exactly as the pattern. What do you think, would Kate wear these? Those look fantastic! I’ve never mastered the art/science of fitting trousers. You did a great job! Wow, those are SUCH flattering pants! Very well done. I love the elegant taupe colour you picked too! Kate would wear them without a second thought. You have made a classic and the fit and tailoring are all so perfect. 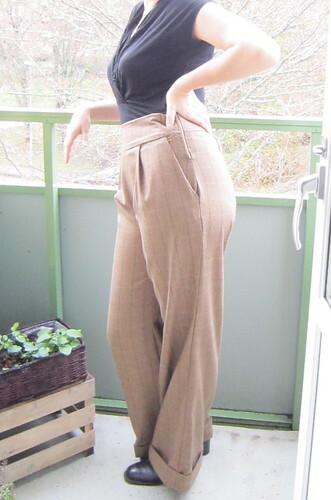 Fantastic trousers!